Living in California my whole life, I always appreciate the amazing weather. But today we were finally hit with some much needed rain. 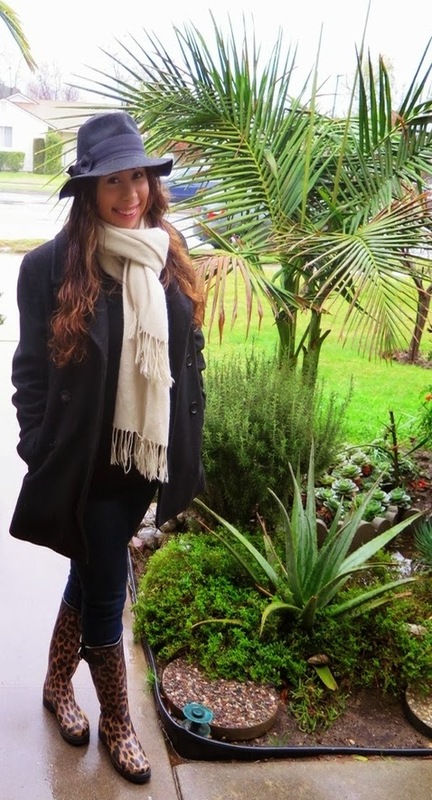 Even though it doesn't rain that often, I do love that I am able to layer up. I have had these rain boots in my closet for 5 years and have only worn them once. And what señorita doesn't love a leopard print? 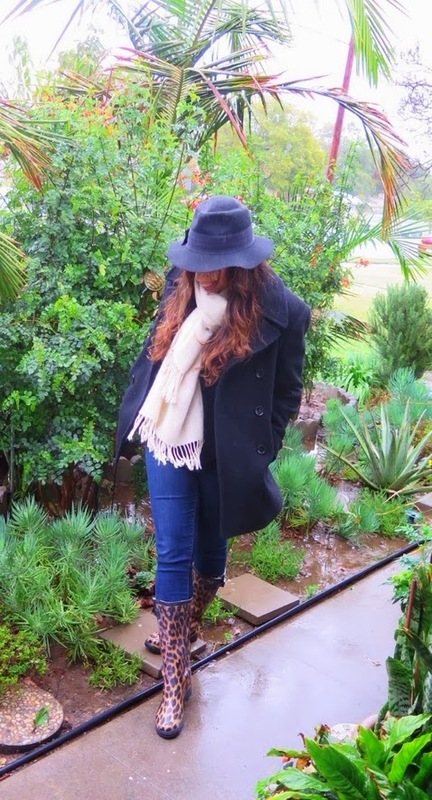 I just added my Undertaker hat and wool scarf to get the perfect outfit for the rain. Don’t forget to leave me your feedback and follow me on bloglovin’! Adios!